Our Industrial Smooth-Top Anti-Fatigue matting is constructed from the same exceptionally durable compound as our Diamond Plate matting, but with a smooth satin finish that allows for ease of movement at industrial workstations. 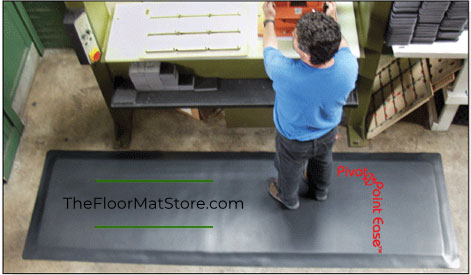 The Industrial Smooth-Top Mats allow for a simple 180 degree motion that is required at service counters and assembly lines. With its smooth top it avoids the stress that can cause pain on knees and ankles that results when the same movement is made on mats that have non-slip surfaces molded on top. 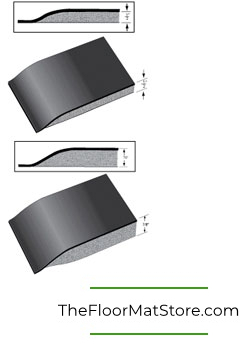 The Industrial Smooth-Top suffers no deterioration from weathering or ozone exposure. It is self-extinguishing when tested in accordance with FMVSS-302.